This review is by Lila Quintero Weaver and is based on an advanced reading copy. The first day of senior year: Everything is about to change. Until this moment, Sal has always been certain of his place with his adoptive gay father and loving Mexican-American family. But now his own history unexpectedly haunts him, and life-altering events force him and his best friend, Samantha, to confront issues of faith, loss, and grief. Sal discovers that he no longer knows who he really is—but if Sal’s not who he thought he was, who is he? 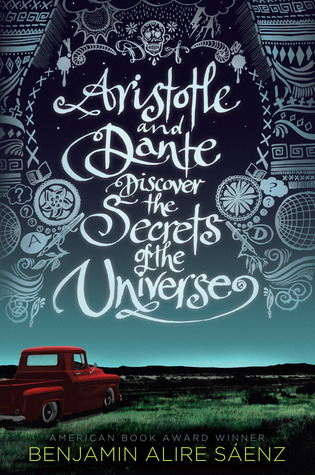 The 2012 multiple prize-winning YA novel Aristotle and Dante Discover the Secrets of the Universe, by Benjamin Alire Sáenz, delivered a spellbinding story of remarkable teen characters on the brink of self-discovery. Among its achievements, the novel provided positive and authentic representations of gay teens and Latinx families. Sáenz follows that feat with The Inexplicable Logic of My Life, which subtly echoes themes in Aristotle and Dante and reaffirms the author’s virtuosity. Seventeen-year-old Sal (Salvatore) lives in El Paso, Texas, with his adoptive father, a gay Mexican-American art professor named Vicente Silva. Vicente assumed responsibility for Sal after his mother died, when Sal was just three years old. (The connections between Sal’s mother and Vicente don’t become clear until late in the book, when Sal finally opens a letter his dying mother wrote and left in Vicente’s care.) Although Sal is white, the adoption secures his place in the heart of a loving Mexican-American family, which is headed by the matriarch Sal comes to know as Mima. As his adoptive grandmother, Mima refers to Sal as her “hijito de mi vida,” and the adoration is mutual. The warmth of the Silva family magnetically pulls in two other teen characters. Sal’s best friend, Sam (Samantha), is locked in raging conflict with her mom. Another friend, Fito, suffers the effects of a drug-addicted mother and an absentee dad. In order to survive, Fito must hold down two after-school jobs. Compared to the home lives of his friends, Sal’s family is golden. But for all the advantages he enjoys, Sal is a complex character, who on the surface, feels secure in his identity as a peaceful, self-confessed straight edger. He eschews cigarettes and alcohol (well, mostly), and is still a virgin. But he harbors a reactionary side. When a classmate utters a homophobic slur against Vicente, Sal resorts to violence that lands him in Principal Cisneros’s office. This impulse to lash out physically catches Sal by surprise, and it won’t be the last time. Other big questions disrupt Sal’s world. His beloved Mima is diagnosed with late-stage bone cancer. Vicente’s one-time boyfriend, Marcos, reappears on the scene, bringing heartache and mistrust to the Silva house. There’s still that matter of the unopened letter from Sal’s mother, and then, major crises hit Sam’s and Fito’s families, radiating tremors in all directions. How fortunate for everyone that Vicente possesses finely tuned paternal instincts and the willingness to open the family circle even wider. Even so, don’t mistake this for a sentimental story. The struggles these young characters wrestle with are real and not easily resolved. Although compelling plot developments push the story along, this novel also distinguishes itself through skillful characterization and crisp, realistic dialogue. The dialogue especially stands out during volleys between the teen characters. Sal and Sam, who’ve known each other since early childhood, share a platonic friendship that’s built on love and mutual respect, but that doesn’t keep them from ribbing one another mercilessly and butting into each other’s business. 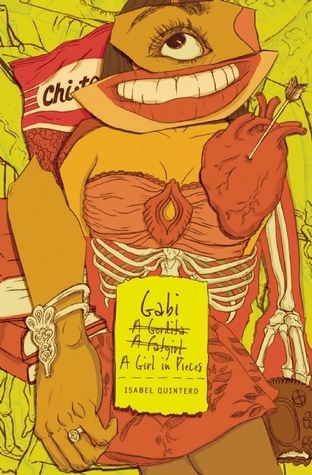 As Fito becomes a larger part of their lives, his comi-tragic flavor gets added to the mix. The verbal conversations and text messages these three engage in are, by turns, hilarious, poignant, revealing, laced with profanity, and true to the way teens speak in 2017. These exchanges reveal the intricate give-and-take of teen friendships, where mutual support is often coded as deprecatory banter. The novel also takes on complex racial and ethnic dynamics, but it’s done with a subtle touch. In writing Sal as a white child adopted by a Mexican family, Sáenz makes a daring choice that reverses typical scripts of interracial or interethnic adoption. Much of Sal’s identity stems from Vicente, the man he considers his true father. In the Silva family, Mexican heritage is freely offered as a gift—one Sal knows he’s lucky to receive and absorb into his cultural makeup. But acceptance at home doesn’t extend to every corner of Sal’s world, and elements of race appear mostly around his role as a rare white kid in a setting dominated by Mexican and Latinx culture. At one point, a classmate drops the slur “pinche gringo” on him, leading to one of several bursts of violence on Sal’s part. On the flip side, Mexican American Sam teasingly refers to Sal as “white boy,” all the while fully aware that by virtue of his upbringing, Sal is more deeply ensconced in Mexican tradition than she is. Sal appreciates the irony and won’t let Sam get away with drawing false distinctions. This is a tricky point, but Sáenz successfully plays it with humor. The question that persists almost to the end of the book is why Sal puts off reading his mother’s letter. He doesn’t understand his own reluctance, and this is part of the “inexplicable logic” referred to in the title. Could it be that Sal fears losing the rock-solid foundation offered by the family that raised him? Many writers would’ve dangled such a compelling object as catnip before their readers. But Sáenz uses uncommon restraint, allowing mentions of the sealed letter to bubble up in conversation or in Sal’s interior monologue sparingly, as if he’s holding that question just inside our peripheral vision while the characters occupy themselves with more urgent concerns. In the writing itself, the author demonstrates other forms of restraint that recall his poetic side. He clips sentences and keeps chapters unusually short, suggesting the poetic habit of brevity. While his prose enthralls the ear, Sáenz’s mastery goes beyond the level of the sentence. He’s an accomplished storyteller who works magic with dialogue, gives characters muscle and breath, and creates intrigue through the subtle layering of reveals and building questions. Another satisfying aspect of The Inexplicable Logic of My Life is the treatment of intergenerational relationships. We’re reminded that healthy family connections help us thrive, while their absence leaves us yearning. Above all, Sáenz crafts a narrative around things that deeply matter to teen readers: identity, belonging, and finding one’s place in the world—and he charges his characters with the drive to pursue these prizes. Benjamin Alire Sáenz is a scholar, a teacher of creative writing, and a prize-winning poet and novelist. Along with other distinctions, his 2012 novel Aristotle and Dante Discover the Secrets of the Universe won the Pura Belpré Award, the Stonewall Award, and the Lambda Literary Award. Our review is here. In 2013, National Public Radio featured Sáenz in a fascinating interview. 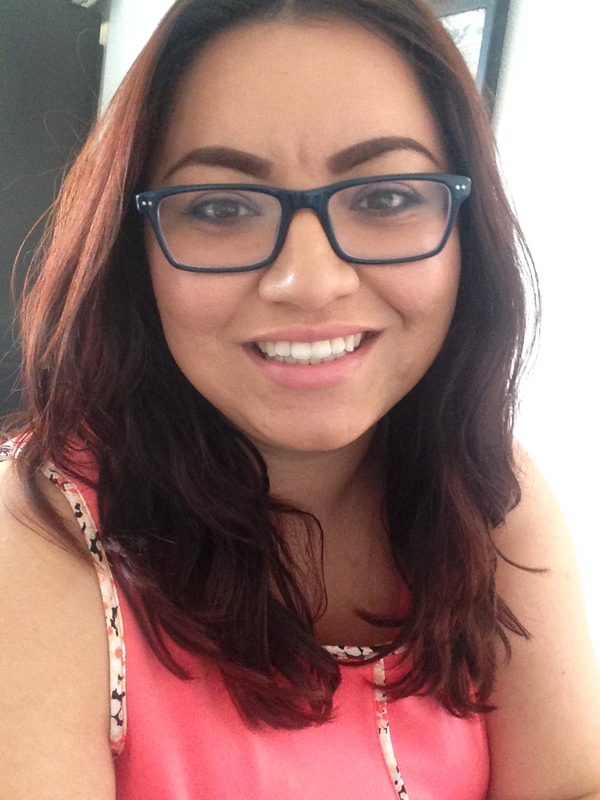 Long based in El Paso, Texas, Sáenz retired from teaching in 2016. Keep up with him via Twitter. DESCRIPTION FROM GOODREADS: Many generations ago, a mysterious cataclysm struck the world. Governments collapsed and people scattered, to rebuild where they could. A mutation, “the Change,” arose, granting some people unique powers. Though the area once called Los Angeles retains its cultural diversity, its technological marvels have faded into legend. “Las Anclas” now resembles a Wild West frontier town… where the Sheriff possesses superhuman strength, the doctor can warp time to heal his patients, and the distant ruins of an ancient city bristle with deadly crystalline trees that take their jewel-like colors from the clothes of the people they killed. MY TWO CENTS: After finishing an ARC of this book, which was officially released 11/13/14, I was pleasantly surprised to realize that unlike many sci-fi/fantasy books I enjoy so much, this one left a very pleasant feeling and hope for the future and not a lurking doom cloud of worry about what humanity will be like once we destroy the environment/bomb ourselves silly/let computers take over. Yes, there are terrible creatures lurking in the desert, but Las Anclas has an abundance of people who are working together to protect each other from those dangers. But yes, there is still bigotry among certain people in power against those with “the Change,” but all does not seem completely hopeless. There are some teenagers with their own Changes – along with respected adults – who are fighting for acceptance. As for non-traditional male/female relationships, the people of Las Anclas are quite easy going; being gay or considering polyamory is very normalized behavior. In addition to the variety of relationships and differences among the characters that contemporary readers would recognize, the racial diversity of the cast of characters is not tokenized and does not feel forced in any way. Teens who may not see themselves represented very often in sci-fi/fantasy novels can surely find a character that speaks to them – whether they are in a non-traditional romantic relationship, physically disabled, or experiencing mental illness. Or just feeling out of place and out of step with the so-called “normals” favored in society. TEACHING TIPS: Youth services/teen librarians and high school teachers and librarians can encourage readers to write their own short stories and experiment with different points of view, like this book does. Teens and their instructors can discuss what using this narrative technique does to a plot, setting, and character development. For teachers with an artistic bent, get the teens to draw or write about the flora and fauna of the future. A good tie-in would be a conversation about the ecological implications of war and how that would change what animals and plants look like and how they would behave. The drawings and ideas can range from silly to serious. And finally, it would be interesting to find out what teens felt about building a positive society in the face of such challenges – a kind of positive utopia that existed in this novel. What would they do to become effective leaders in a harsh world, with little resources? What compromises would they be willing to make? 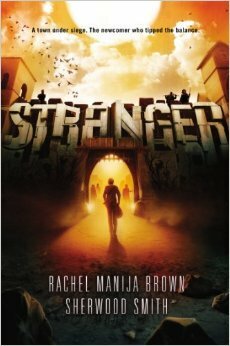 AUTHORS: From Goodreads: Rachel Manija Brown is the author of all sorts of stories in all sorts of genres. She has also written television, plays, video games, and a comic strip meant to be silk-screened on to a scarf. In her other identity, she is a trauma/PTSD therapist. She writes urban fantasy for adults under the name of Lia Silver. From cahreviews.blogspot.com: Sherwood Smith began her publishing career in 1986, writing mostly for young adults and children. Smith studied in Austria for a year, earning a masters in history. She worked many jobs, from bartender to the film industry, then turned to teaching for twenty years, working with children from second grade to high school. 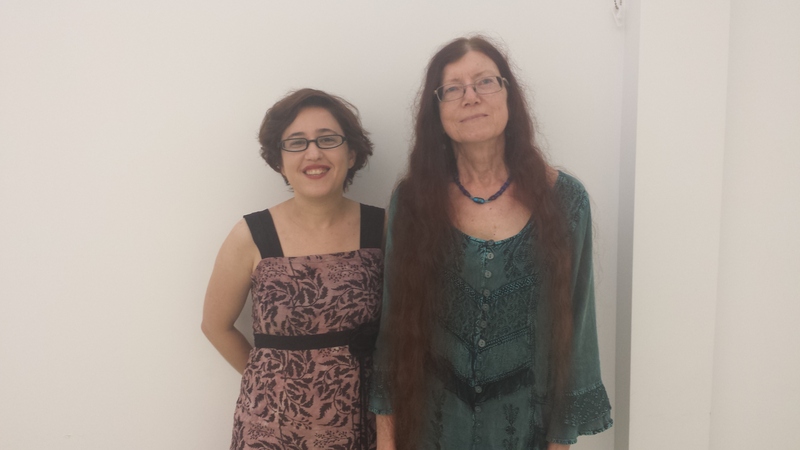 To date she’s published over forty books and been nominated for several awards, including the Nebula, the Mythopoeic Fantasy Award, and an Anne Lindbergh Honor Book. FOR MORE INFORMATION ABOUT Stranger (The Change #1) visit your local public library, your local bookstore, barnesandnoble.com, amazon.com, goodreads.com or indiebound.com.